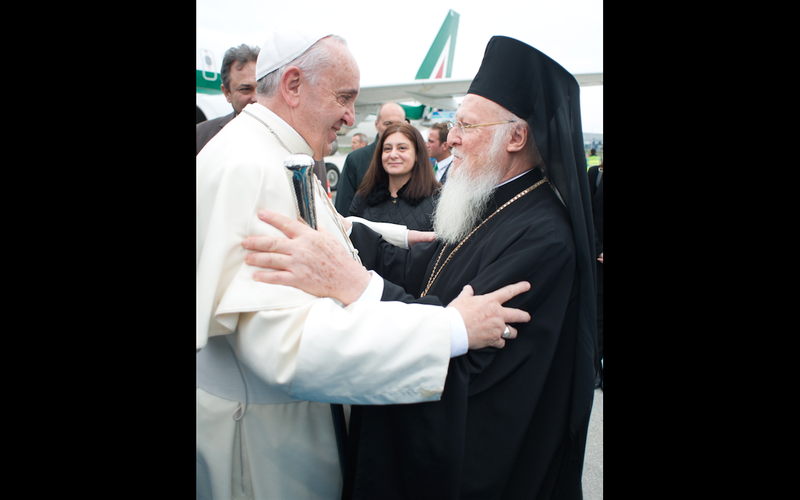 Pope Francis has sent a message to the cardinal archbishop of Florence, Giuseppe Bettori, following the conferral of a doctorate honoris causa in “Culture of Unity” to His Holiness Bartholomew I, Ecumenical Patriarch of Constantinople, by the Sophia University Institute of Loppiano, Italy. On the occasion of the conferring of a Doctorate Honoris Causa in the “Culture of Unity” to His Holiness Bartholomew I, Archbishop of Constantinople and Ecumenical Patriarch, by the “Sophia” University Institute of Loppiano, I wish to assure you of my spiritual closeness and express a cordial greeting to all those present. A particular remembrance goes to the beloved Brother Bartholomew, to whom I renew sentiments of earnest esteem and profound appreciation, rejoicing over the present initiative that, beyond constituting a rightful recognition of his commitment in the promotion of the Culture of Unity, contributes favorably to the common journey of our Churches towards full and visible unity, to which we tend with dedication and perseverance. In hoping that the “Sophia” University Institute — following the charism proper of the Focolare Movement and open to the action of the Spirit — continues to be a place of encounter and of dialogue between different cultures and religions, I assure you of my prayerful remembrance and, while I ask you to pray for me, I send my Blessing to all those present.